The boat is stored under cover away from the elements and in excellent overall condition. This low hour, freshwater family fun vessel is ready for the water. Seller is only selling due to lack of time to enjoy. Bring all realistic offers. 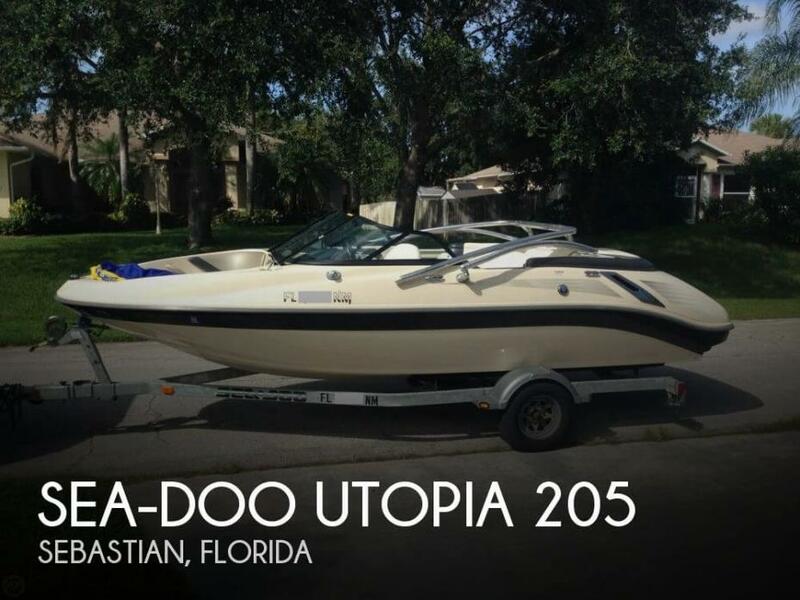 Stock #167642 BEAUTIFUL LOW HOUR, FRESHWATER SEA-DOO UTOPIA WITH TRAILER - THIS ONE IS READY FOR THE WATER! Reason for selling is no time to enjoy. Highly maintained by the one owner who is an aircraft maintenance manager for decades - this owner has an extreme attention to detail making this boat a very good find! Per the Seller: More time has been spent on maintenance than usage, which is why he is selling. Amsoil oil usage only for its short life, you will not find one better maintained! 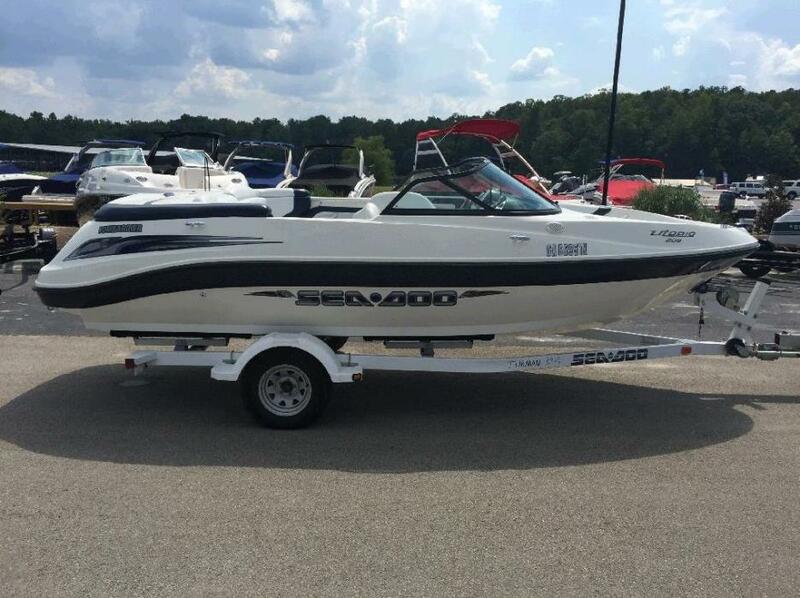 Stock #130885 Excellent condition, very low hours, fold down wakeboard tower and garage kept! 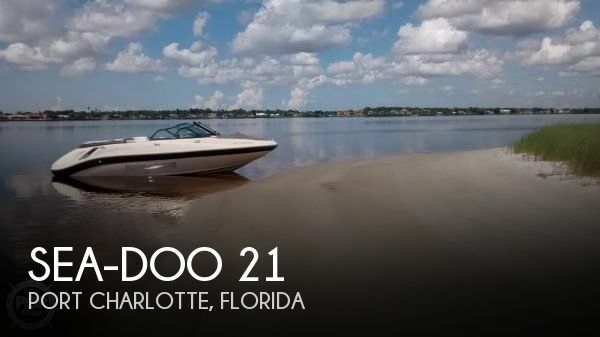 If you are in the market for a jet boat, look no further than this 2007 Sea-Doo UTOPIA 205, just reduced to $17,500 (offers encouraged). 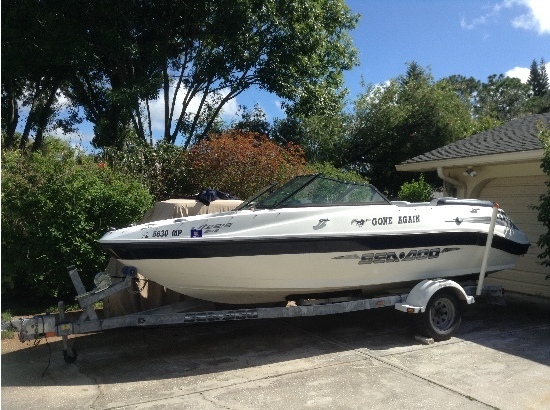 This boat is located in Sebastian, Florida and is in great condition. She is also equipped with twin Rotax engines that have only 151 hours. Reason for selling is ready to sell!. 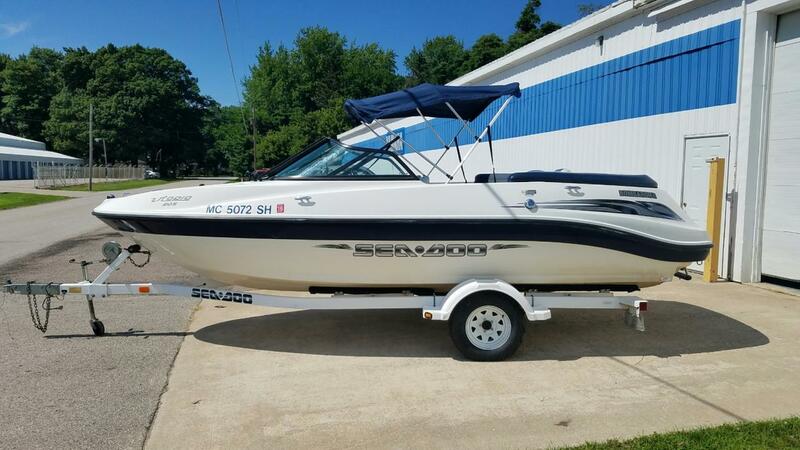 2006 Sea-Doo Sport Boats Utopia 205 Whether you're out on the water cruising at sunset or up at dawn for a day of watersports, the Sea-Doo Utopia 205 will take you and seven other passengers there in style with plenty of power to spare. 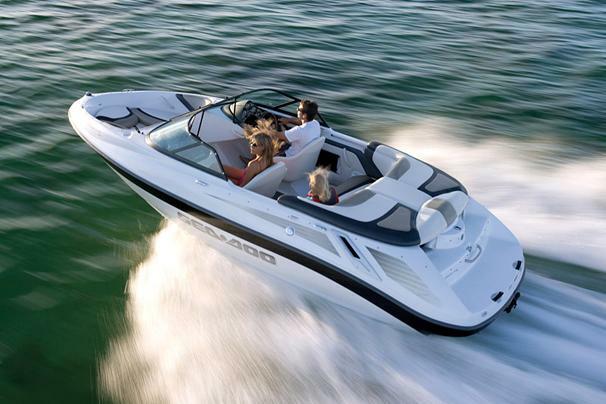 Utopia models come equipped with a blistering 310 HP power pack. The Utopia SE model offers class and comfort with custom-fit carpeting, CALL GT MARINE IN CLERMONT FL TODAY! 2002 Sea-Doo Utopia 205 Nice boat. Needs some cleaning and TLC. This is reflected in this very low price. Includes trailer. Boat was always used in fresh water only. 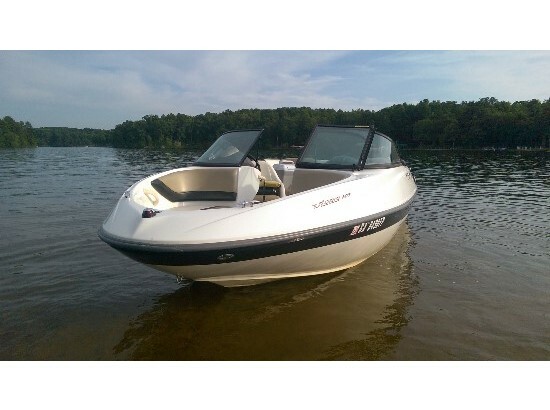 2002 Sea Doo Utopia 205 The Sea-Doo Utopia 205 offers the unique blend of a sportboat and a bowrider in one. 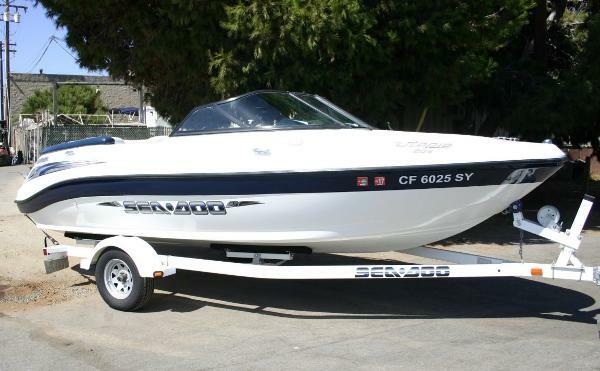 She has a good turn of speed, great handling, and is sure to get the adrenaline pumping out on the water. The Utopia 205 is a wonderfully designed runabout, with room, safety, and the type of comfort one does not expect in a boat this size. She’s just right for the family that wants performance, but with room for everyone. Shipping from Comstock Park, MI will be $2 a mile. 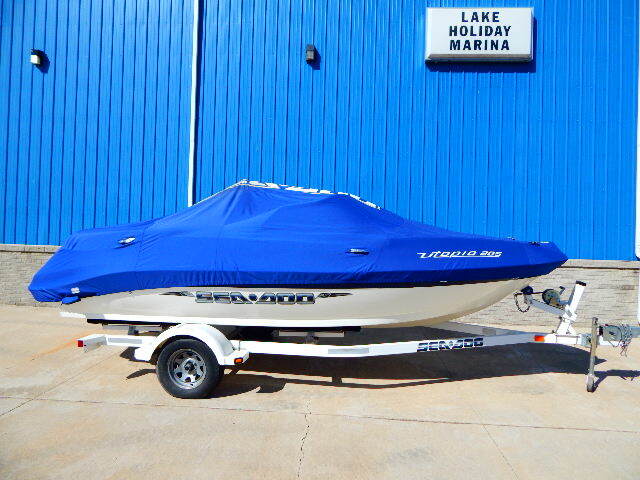 2004 Sea-Doo Sport Boats Utopia 205 2004 Sea Doo Utopia 205 with 250 Mercury Optimax Sportjet with very low hours, this 20’ open bow jet boat has the double wide swivel seat on the passengers side to make a unique seating area with a table that sets up in the middle. The bimini top and table store nicely inside the motor hatch for a clean set up when not being used. It includes a trailer with new tires and a swing tongue. Great boat for the family that has only been in fresh water. Own it for $12,900 at Boat Sellers. Factory info - The Sea Doo Utopia 205 is as smooth riding as it is fun to operate. It has enough space to comfortably seat up to eight people. 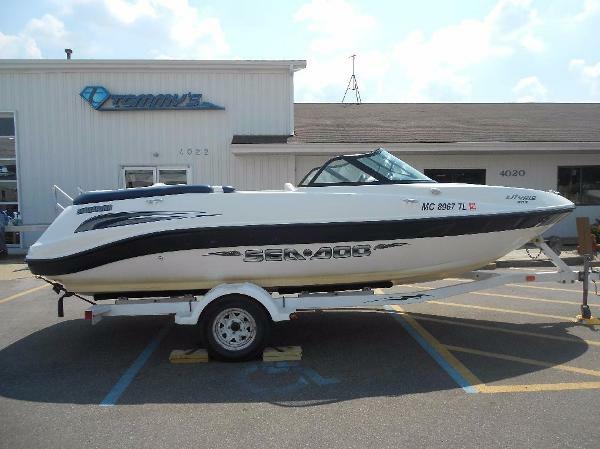 This model is great for any water sport, or enjoying a relaxing cruise with friends right before sunset. The cockpit turns into an L-shaped lounge with a swing-back buddy seat and removable cockpit table. The wrap-around, walk-through windshield offers wind protection, while the bimini top helps keep the elements at bay. 2007 Sea-Doo Utopia 205 SE The Utopia 205 SE brings style and sophistication to the boater that loves the speed and power of a jet drive, but the style of a bowrider. Powered with the new 310-hp Rotax 4-Tec four-stroke engines, this updated Utopia 205 SE is sure to be a thrill on the water. 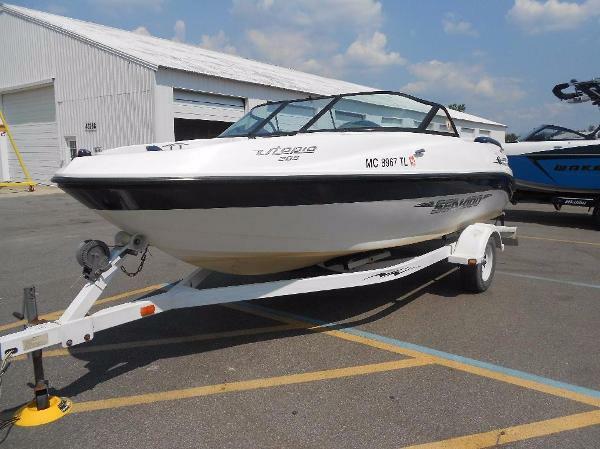 With only 180hrs, this Utopia is ready to hit the waves!Swim platform with ladderFull windshieldClarion AM/FM stereoBurlwood steering and all-woodgrain dashRemovable cockpit tableRoom for 8One touch Inlet Clearance System (ICS)Custom-matched trailer Call us today for more information or to schedule a showing! 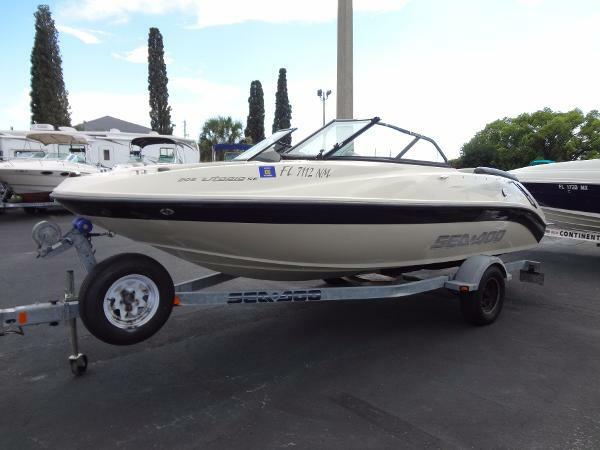 HIN: CEC22615L607 Motor: 310-hp Rotax 4-Tec Trailer: Single-Axle - Outpost Marine Group is Tampa Bay's Premier Boating Mega Store with over 100 boats in inventory ready for immediate delivery! 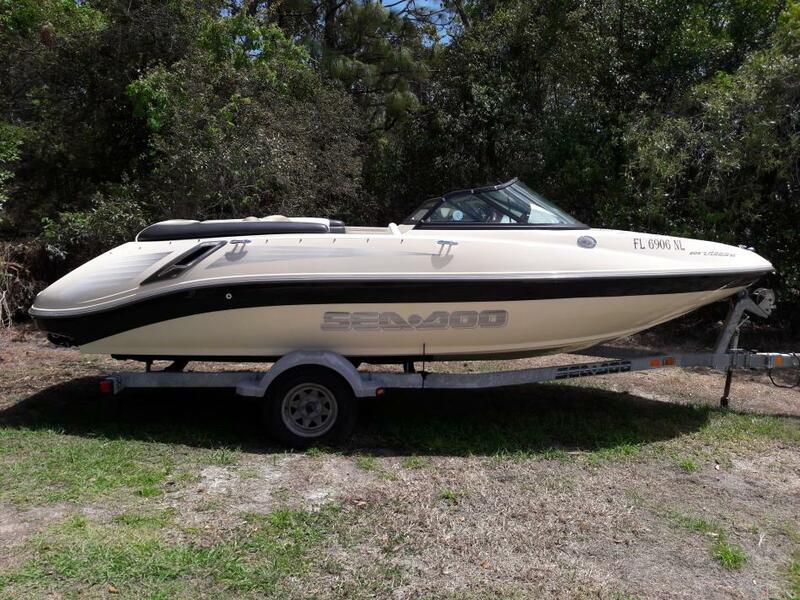 We have the largest selection of new and used boats in the greater Tampa Bay Area, offering sales, service, and parts for 14 major lines as well as quality pre-owned vessels for ANY budget!You can BUY WITH CONFIDENCE knowing that our Certified Service Department has inspected every boat for quality assurance. We are the only one in Tampa Bay with a repurchase program and trade up program. Experience the Outpost Marine Group difference today!